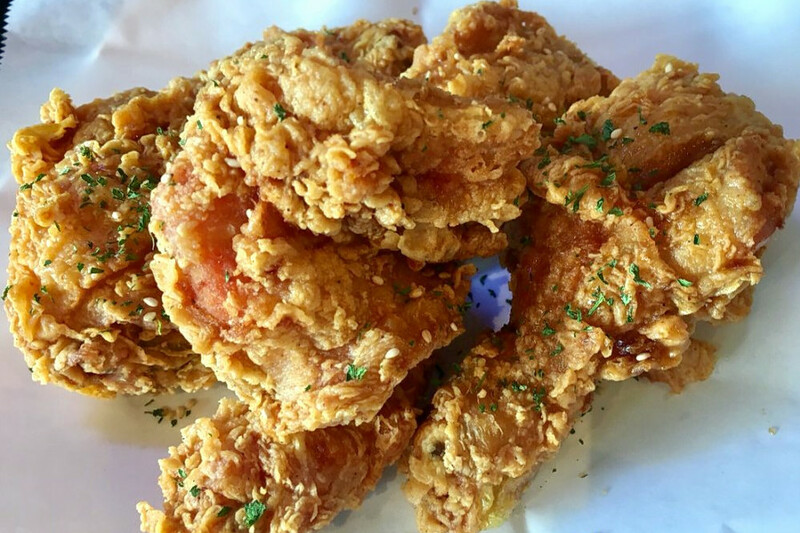 If you've got chicken on the brain, you're in luck: we've found three new Houston eateries that will quell your craving. 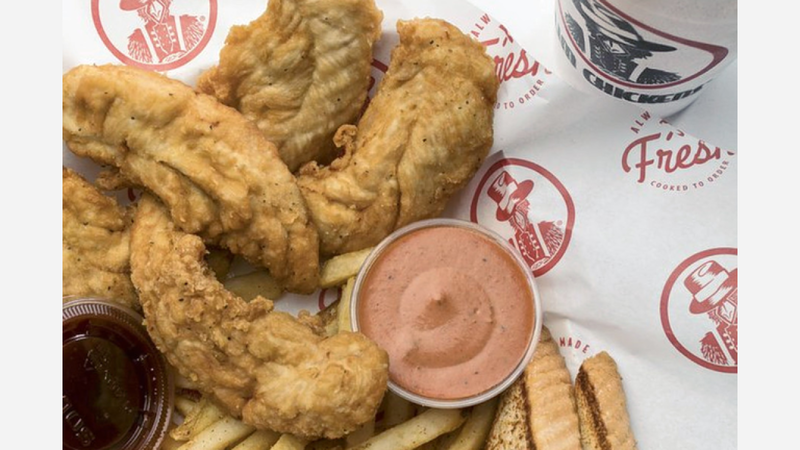 Here are the newest places to check out the next time you're in the mood for some chicken. Hailing from South Korea, fast food franchise Vons Chicken recently debuted in Houston. The eatery specializes in Korean fried chicken. On the menu, look for several different options for the fried chicken, such as crispy, sweet chili or soy. The chicken can also come oven-roasted. Another option is the "full ssam," where boneless chicken is served sliced and accompanied by a selection of vegetables to create wraps. This outpost also serves dishes and sides such as bulgogi bibimbap, shabu shabu and bulgogi kimchi fries. With a three-star Yelp rating out 23 reviews, Vons Chicken is still finding its way, but it's early days. Denise M. noted: "Food: I'd give four stars. It was pretty good, we had crispy chicken with chili oil (hot), good crust and flavor. The heat is pleasant, hot but doesn't linger." Cindy S. wrote: "Got to try this place recently and wasn't disappointed! The chicken is great! Come with a group so you can try lots of things. They're still building their business, so the menu was a bit limited when we went in. It worked out just fine, though, as we were still able to try a lot of things." Houston brand Big City Wings was recently revived in 2015, with its latest location--its fifth--in the Marq'E entertainment center. Customers craving chicken wings can find them here with a variety of sauces, from garlic parmesan to spicy ranch to honey citrus. For other options, look for a chili cheddar burger with Fritos, chicken and waffles and loaded baked potatoes. With a 4.5-star Yelp rating out of 16 reviews on Yelp, Big City Wings has been getting positive attention. Yelper Nancy R., who was one of the first users to visit Big City Wings on February 16th, wrote: "We came here couple weeks back for my son's birthday party. We set up near the bar: service was amazing. The manager was accommodating when we said the lights were too bright. Food was crazy good--the size of these wings are boom!" Shana H. noted: "The food was amazing! The wings were a good size, the fries were sooo good. I haven't had a great SP waffle fry in a long time." 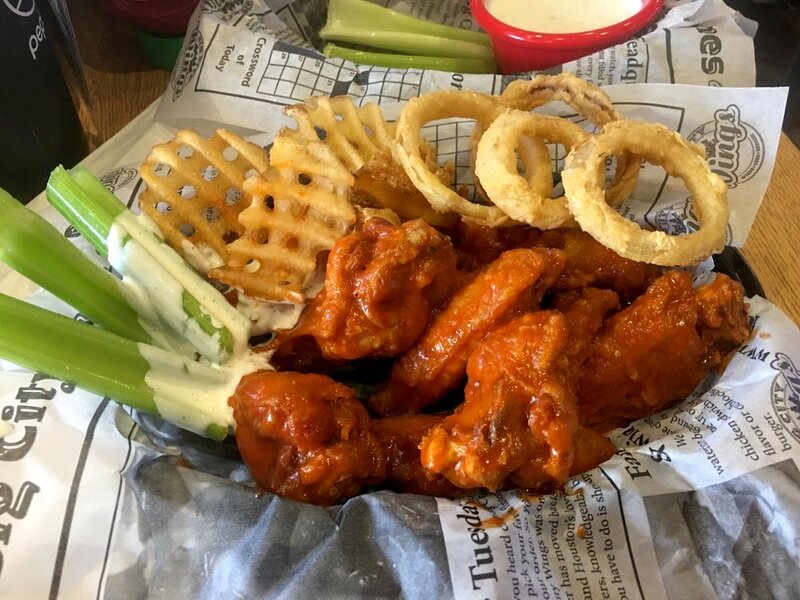 Yelper Mike W. wrote: "Getting a five for the wings and chicken tenders--though I'd like to taste more of the wing flavors." Big City Wings is open Friday and Saturday from 11am-midnight, and Sunday-Thursday from 11am-11pm. Slim Chickens bills itself as a spot that "delivers a dose of that Southern hospitality to a fast, casual setting." Comfort food reigns on the menu. Customers can expect offerings such as chicken tenders and wings; chicken and waffles, and a cayenne ranch chicken sandwich. With a three-star rating out of 15 reviews on Yelp, Slim Chickens is still finding its way, but it's early days. 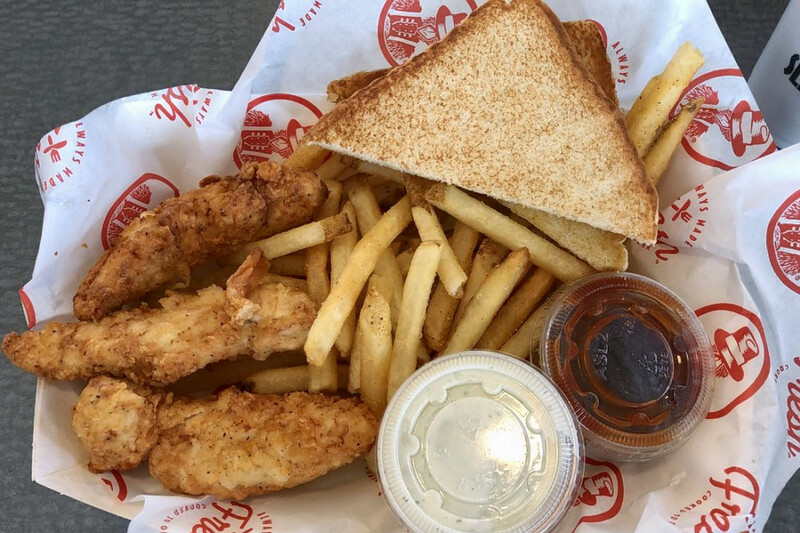 Yelper Dewayne R., who reviewed Slim Chickens on February 17th, wrote: "My kiddo and I came here for lunch, this past Sunday. It's a pretty cool setup, not unlike the I-10 location. The chicken tenders were better than I recalled. My kiddo liked them a lot." Slim Chickens is open Friday and Saturday from 10:30am-11pm, and Sunday-Thursday from 10:30am-10pm.